This blog post was contributed by Chase Rief, CMO of Early Warning Labs. 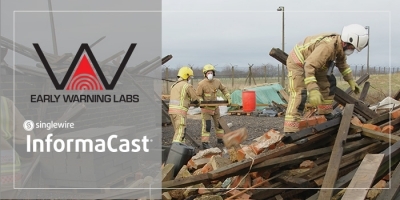 Early Warning Labs (EWL) recently partnered with Singlewire Software for a comprehensive solution that organizations in high-risk earthquake areas can use to alert their personnel when they are about to experience significant ground shaking from an earthquake. But you may be wondering how exactly the integration between our Earthquake Early Warning hardware and software and Singlewire’s InformaCast mass notification software works. 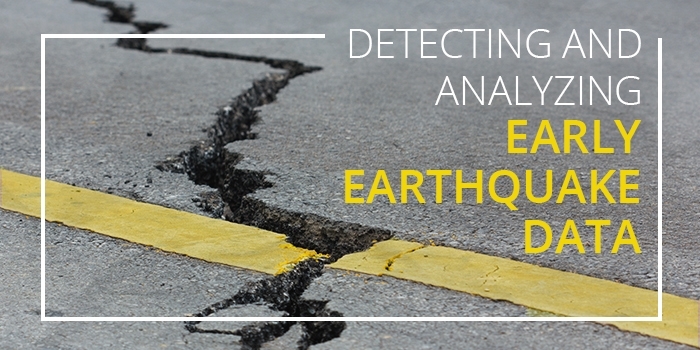 EWL is an official partner of the US Geological Survey (USGS) and the ShakeAlert™ Project. The ShakeAlert Project uses sensors placed throughout the Western US to detect earthquakes in real time as they happen and to determine where the seismic waves will travel to and how intense they will be when they arrive in different locations. Neither EWL nor the USGS ShakeAlert Project aims to predict when or where earthquakes will happen. Instead, they use the early data from seismic events to alert people of the impending tremors before they arrive. Depending on how far someone is from the epicenter, the early warning could arrive anywhere from a few seconds to a minute in advance. And while this may not sound like a lot of time, even a five or ten-second warning can allow people to take basic precautions, like dropping and covering or moving away from potentially dangerous hazards. Experts say that simple precautions like these can save hundreds or even thousands of lives in a major earthquake. These advanced warnings are possible because every earthquake sends out two different waves, which travel at different speeds. The primary wave (or P-wave), travels much faster than the far more destructive secondary wave (S-wave). By measuring P-waves, it is possible to calculate precisely where S-waves will travel, when they will arrive, and how severe the shaking will be. The primary channel for sending out earthquake early warnings is via existing commercial and industrial building systems. EWL uses both proprietary hardware and software systems to integrate with buildings so that audible alerts are played through existing speakers and automating vital safety features in the event of an earthquake. Examples include: automating elevators to stop at the nearest floor and open their doors so people can exit before the quake hits; automatically opening fire department bay doors so that fire trucks are not trapped inside; and shutting down gas lines and heavy machinery. The secondary channel for Early Earthquake Warning (EEW) is mobile phone notifications. 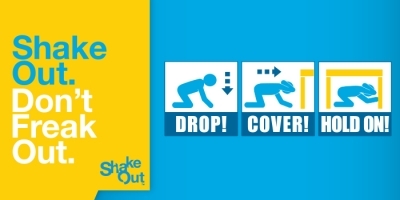 EWL has developed a mobile app called QuakeAlert that takes the seismic data collected by ShakeAlert, calculates when, where, and how hard the quake will hit, and delivers an alert to an individual’s smartphone. It includes complete information about the intensity of the earthquake and a countdown timer that tells them how many seconds remain before the ground shaking starts at their location. 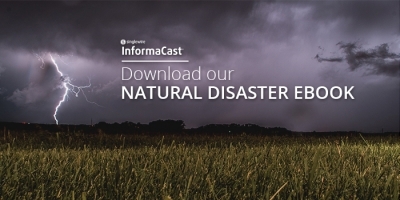 With the new integration between EWL’s software and hardware and InformaCast, organizations can now leverage the EEW data and reach all of their people through multiple on-site and off-site channels. This includes automatically triggered messages that can be sent to IP speakers, IP phones, computer desktops, digital signage and more with audio and text. This helps to get the message out more quickly, to more people, ensuring that everyone receives critical safety information to get them out of harm’s way. The partnership between Singlewire and EWL is a major step forward for EEW, bringing together two industry leaders to offer a solution that organizations can count on when earthquakes strike.